Hornady has introduced an innovative new single-stage press with some very impressive features. 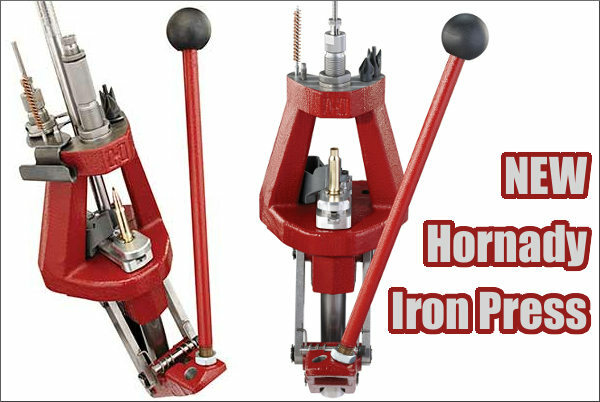 The new-for-2016 Hornady Iron Press™ features a super-strong, pyramid-style cast-iron frame with an open front. A very clever optional “automatic” priming system shuttles primers from a vertical tube in the back to the shell-holder in the front. We’ve never really seen anything quite like this before. You really should watch the video — it shows the patented auto-priming system in action. This system appears to be a very smart piece of engineering — good job Hornady. The broad top of the beefy (26-lb.) Iron Press can hold case prep tools (such as chamfer tool and case-neck brush) and/or a box for bullets or brass. NOTE: This is NOT a turret press — you can only use one die at a time. However, Hornady offers an accessory “Die Caddy” (sold separately) that can hold up to three (3) more dies. That way you can quickly switch from a sizing die to a seater die (or vice-versa). What Hornady calls the “Accessory Mounting Deck” gives quick access to items such as trays for bullets or cases, chamfer and deburr tools, case neck brushes, primer pocket cleaners and other accessories. 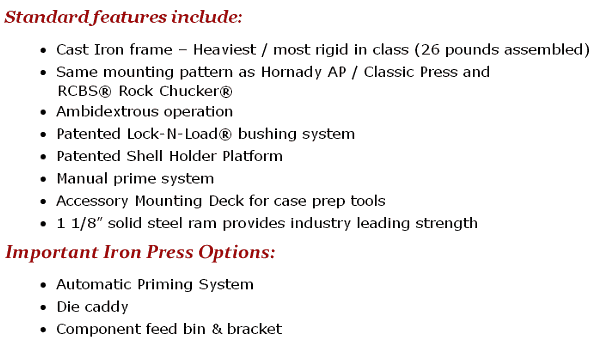 The Iron Press comes with the Lock-N-Load® bushing system which allows for rapid die changes. The optional auto-priming system is a real selling point for this new press we think. When you move the press handle rearwards, a horizontal bar toggles back to pick up a primer from the column in the rear of the press. Then this same bar move forwards to place the fresh primer in the center of the shell-holder. Hornady explains: “The available gravity-fed Automatic Priming System (sold separately or with the Lock-N-Load® Iron Press™ Reloading Kit), combined with the Accessory Mounting Deck, increases reloading efficiency by allowing more processes to occur simultaneously. The Iron Press™ is the first of its kind to allow the ability to deprime, pause, and remove the case to chamfer & deburr … then replace and prime.” Do watch the video to see the priming system in action. 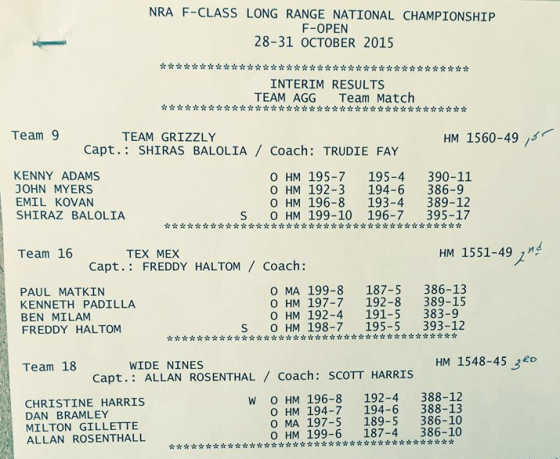 Share the post "Hornady’s Rugged New Open-Front Iron Press"
Team Grizzly Captain Shiraz Balolia had the top score (395-17X) of all shooters participating in the team event. (This is a file photo from previous match). Team Grizzly’s Captain Shiraz Balolia said: “My hat is off to our coach, Trudie Fay, who has coached and won us the last three consecutive Team matches at the National Championships. I have been fortunate to have been a shooter and Captain of all three gold medal wins, three years in a row, one with Team USA and two with Team Grizzly. Trudie did a great job and my Team gun just hammered!” Along with Faye and Balolia, Team members included Kenny Adams, Emil Kovan, and John Myers. All four X-Men rifles featured Precision Rifle & Tool (PR&T) Low Boy stocks. 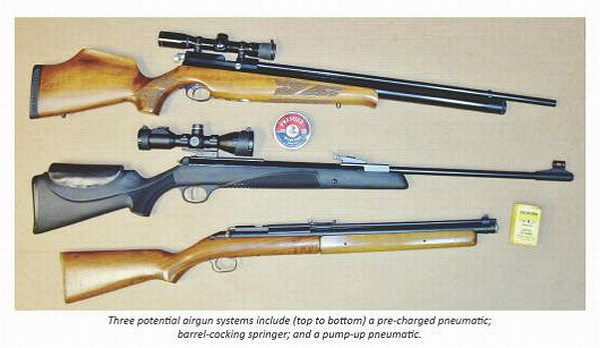 PR&T’s Ray Bowman observed: “Ian Klem built his rifle on our stock, PR&T stocked Dan Lentz’s rifle and we built Phil Kelley’s and Tracy Hogg’s “HAMMER” rifles.” Gunsmith Ryan Pierce chambered two of the X-Men barrels. It was sunny but quite windy on Friday for the Team Match (Sherri Judd Photo). Finishing second in the F-TR division was the Michigan Rifle Team, winners of the Mid-Range F-TR National Championship. The Team was coached by newly-crowned, Mid-Range F-TR Nat’l Champ Bryan Litz. Shooters include Doug Boyer, Jim Grissom, Bill Litz (Bryan’s father), and gunsmith John Pierce. Grissom shot a great match, finishing with 385-12X, but it was not enough to carry the Michiganders to victory. The squad finished with 1524-29X, six points behind the winning X-Men (1530-33X). Team Sinclair placed third with 1512-35X. 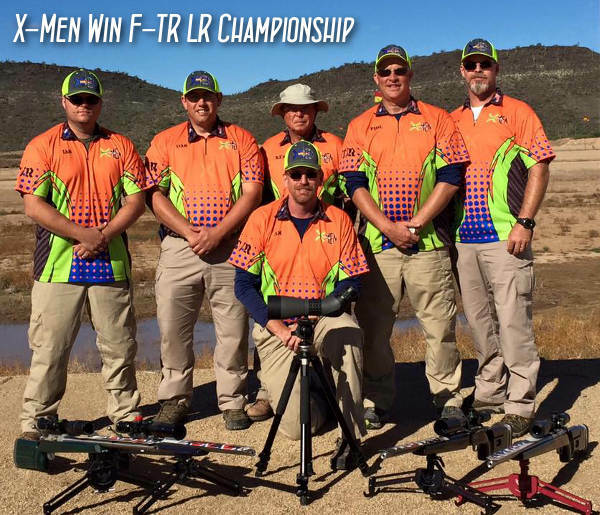 Share the post "X-Men and Team Grizzly Win F-Class National Championships"
We like air rifles both for fun shooting and for competition. However, so many options are now available that is easy to get over-whelmed with the choices. Thankfully, there is a good book that helps air rifle shooters make informed decisions about air guns and gear. Steve Markwith’s new title, Air Rifles: A Buyer’s and Shooter’s Guide offers a wealth of useful information. This 154-page paperback book is now available for $12.95. The book is also offered as a FREE Kindle download for Amazon Prime and Kindle Unlimited members. Check it out — you may be able to get the book for free. If you go to Amazon.com and click on the cover of this book, you can view a FREE preview with extensive samples from many chapters. 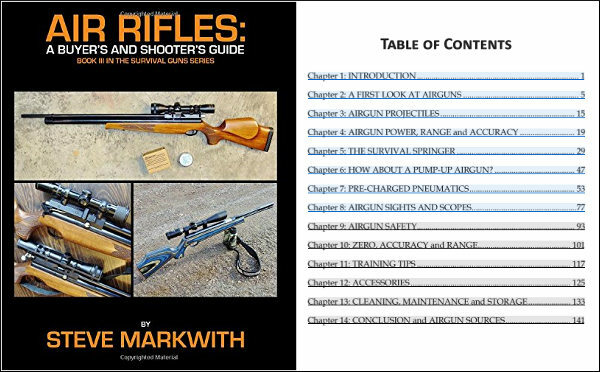 The book covers all the most important types of air rifle systems, both pre-charged pneumatics and other self-charging guns. Markwith reviews the wide variety of pellets available, offering suggestions for particular applications. 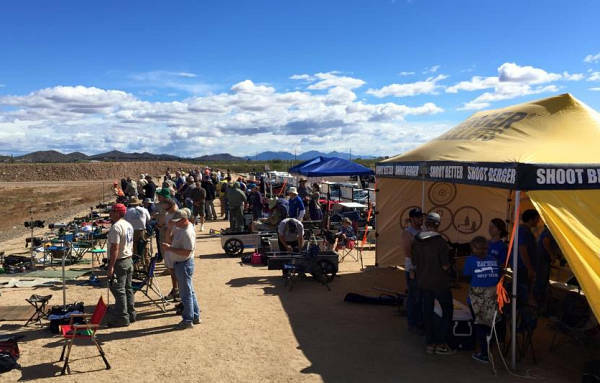 You’ll also find a useful discussion of Airgun Power, Range, and Accuracy. This will help you pick the right air rifle for your application. Markwith explains the many attractions of airguns. They are not considered firearms (in most jurisdictions) so they can be purchased at local shops or mail-order outlets without FFL fees or background checks. You’ll find a huge online selection of airguns at PyramydAir.com that can ship direct to you — no FFL required. Air rifles are also quiet and very inexpensive to shoot. While .177 and .22 caliber air rifles are most common, there are also larger-caliber airguns offered for hunting or special applications. 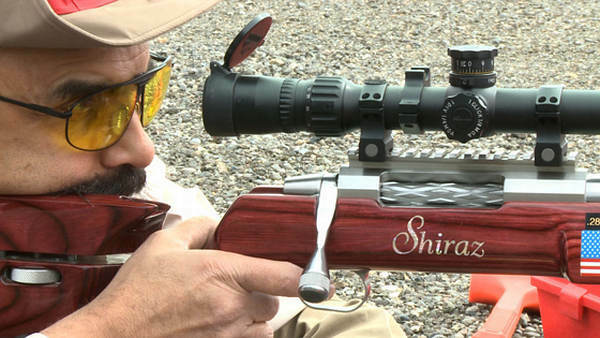 Share the post "New Comprehensive Guide to Air Rifles by Steve Markwith"